Cost-effective and efficient method of attaching metal to wood or other soft material without through holes. 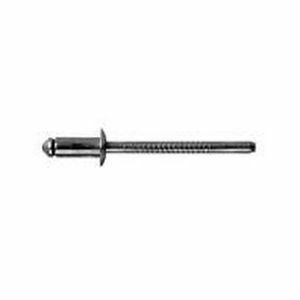 The Avdel T-Lok rivet provides an efficient and cost effective method of attaching metal to wood or another soft material. The T-Lok rivet does not break through the back substrate, yet has a large rivet tail bearing area inside the material, giving this rivet an excellent pull-out force.